The state of Minnesota is known for its parks. It doesn't matter if its a national, a state or a local park - they all offer visitors incredible walking and hiking paths, natural beauty and views of wildlife. One city park, Aronson Park, has played host to my daughter's soccer games and as the backdrop for her team photos. 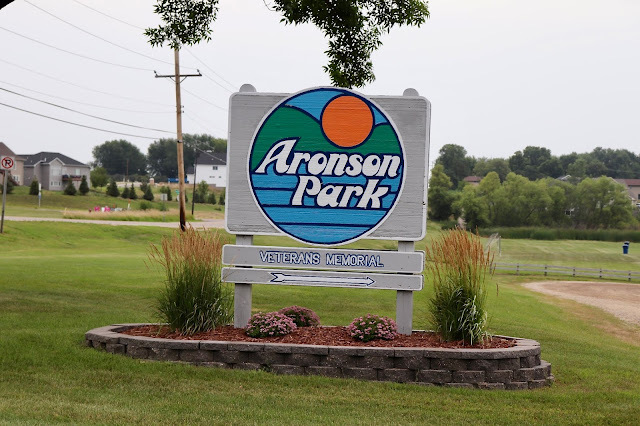 Its playground is part of my arsenal of "energy burn-off" excursions when necessary, and I've parked here en route to the city's Pan-o-Prog festival events. 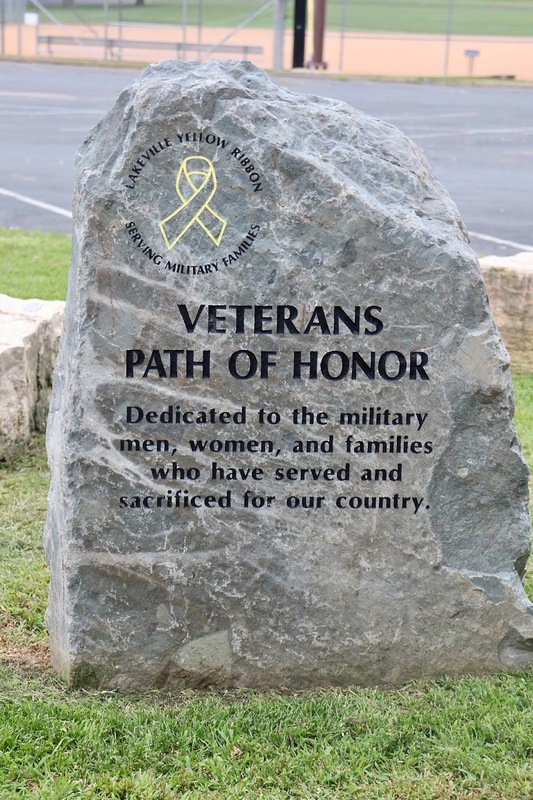 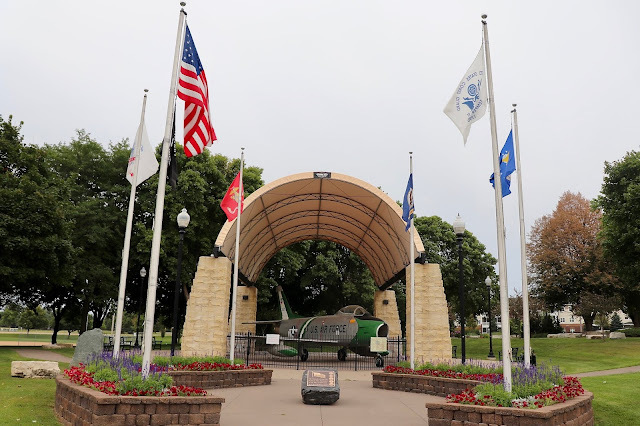 But, Aronson Park in Lakeville is the subject of today's post for its attention-grabbing veterans' pavilion. Its focal point is the Korean War-era, 1953 F-86H Sabre Jet. 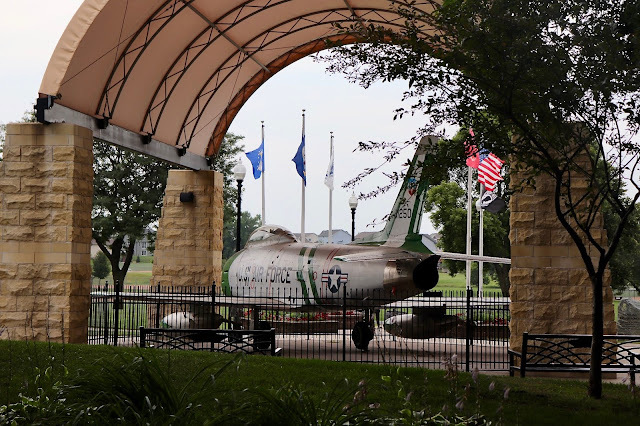 Though this particular jet did not see action overseas, it still stands proud in its service to honor the city's veterans. 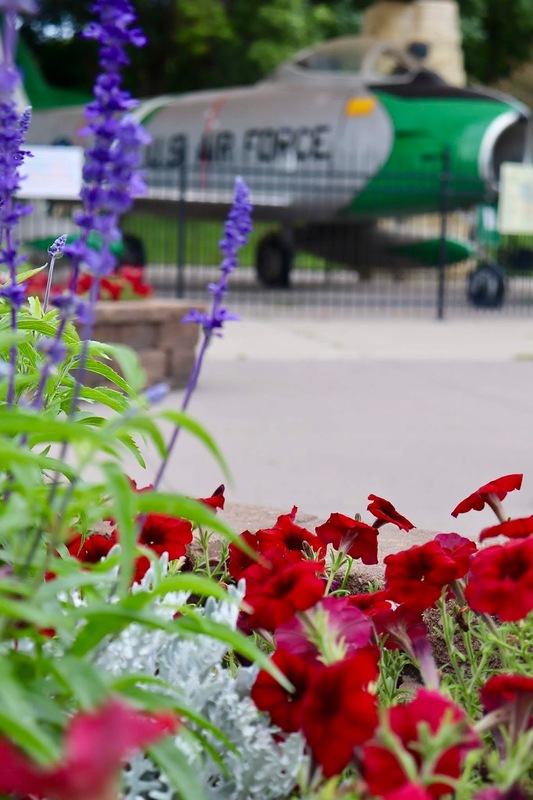 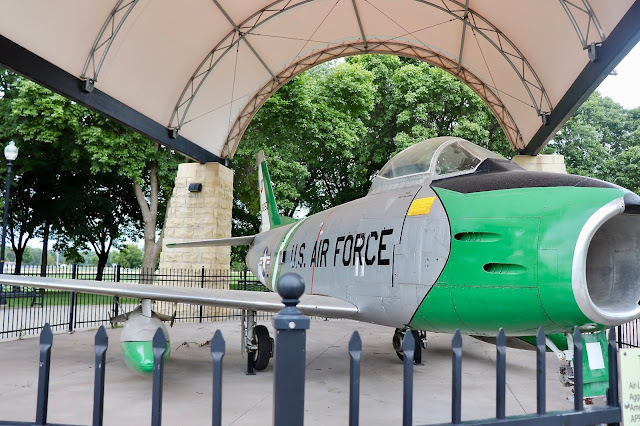 The F-86H Sabre was typically flown by both the U.S. Air Force and the National Guard, and this one was purchased by local Air Force veteran Bill Studer and donated to the city. 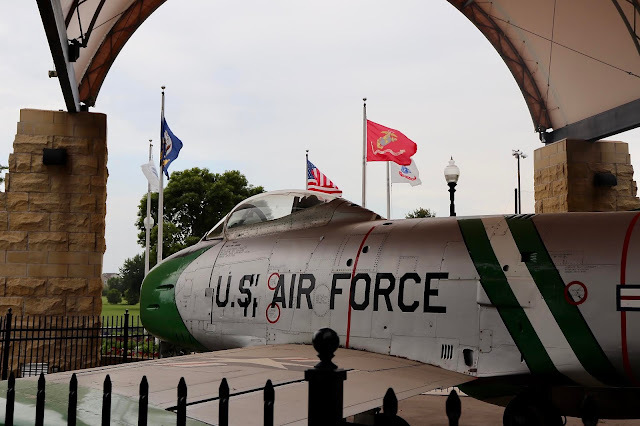 Studer, now in his 80s, flew the same model during the Korean War era. 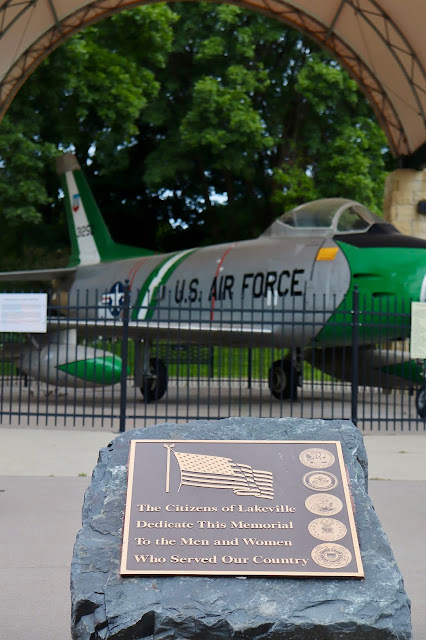 He purchased the jet from a collector, and the pavillion that pays homage was dedicated in 2006. 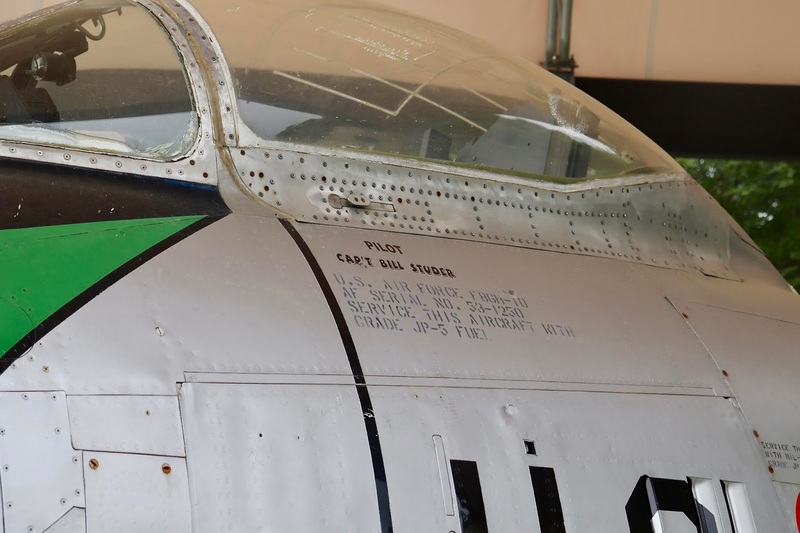 Volunteers, mostly veterans themselves, work to care for and preserve this piece of military aviation history. 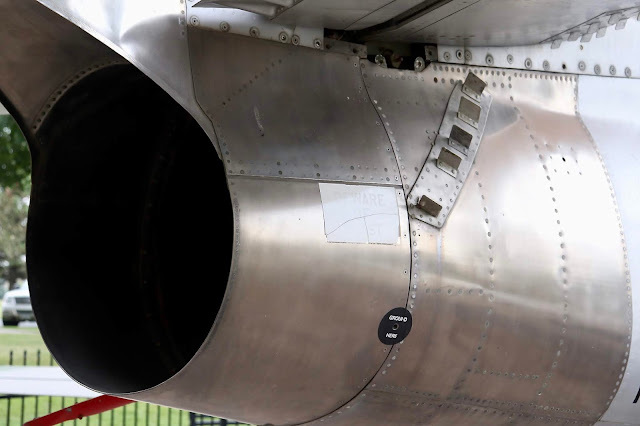 The sticker says "Beware of Blast." 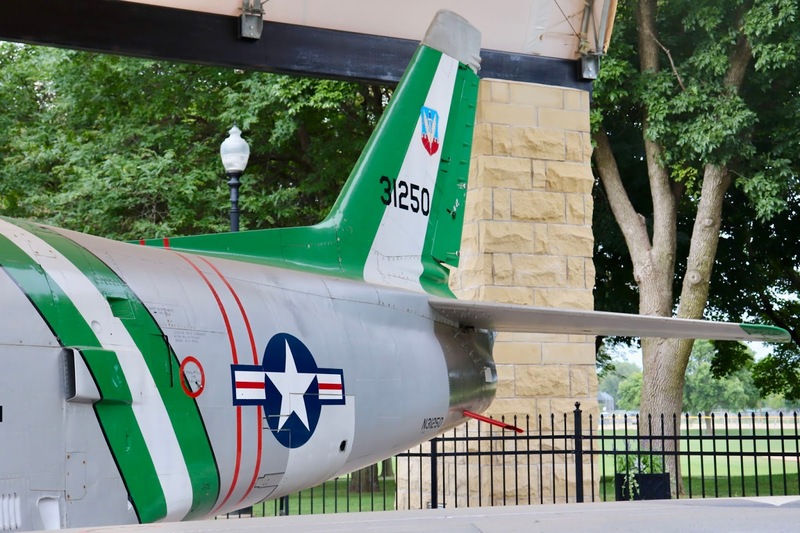 The jet's serial number, 53-1250, indicates it was one of the last of its kind to be built. The intent of the F-86 was to counter the performance of the Soviet-built MiG-15, and was hailed a success. 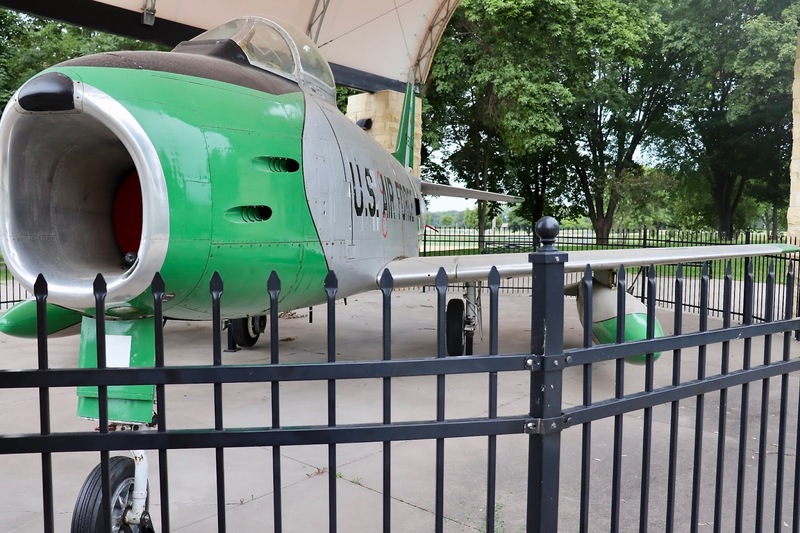 Only 475 of the H-model were built, making this aircraft very rare. As an aviation family, we cannot help but feel proud of everything this aircraft stands for. Our freedoms of course, but also the privilege it grants humans to experience the exhilaration of flight. More information on the jet can be found here.